Original Release: 1991. Platforms: Super Nintendo, Game Boy Advance, Wii Virtual Console, Wii U Virtual Console. Developer: Nintendo EAD. Publisher: Nintendo. Available on Wii and Wii U Virtual Consoles. 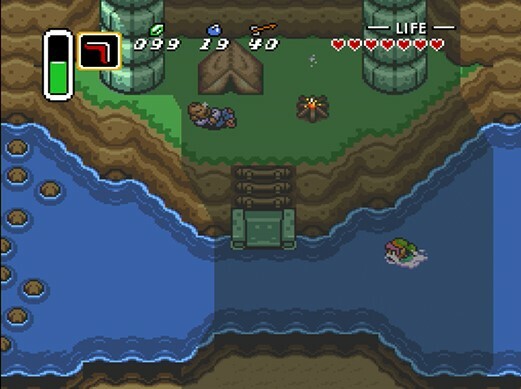 At the moment, most fans would probably recommend either Ocarina of Time or the SNES A Link to the Past as Nintendo's definitive Zelda games. 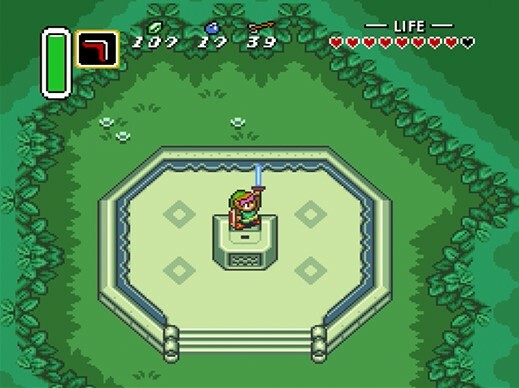 Both offer solid introductions to characters like Link, Princess Zelda, and Ganon while easing players into Zelda's well-established mechanics. But where Ocarina of Time is fondly remembered for a time-traveling story we're all nostalgic for, A Link to the Past might be my personal starting recommendation. Not only have its visuals and controls aged remarkably well, it teaches advanced gameplay systems with the bare minimum of story prompting. 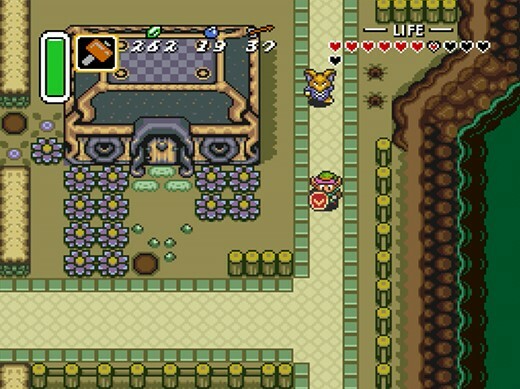 The tutorial alone involves sneaking into a castle, watching your uncle die, fighting dozens of soldiers, and rescuing a Princess in the time it takes Ocarina's Link to wake up and chat with the neighbors. If you need a Zelda game that moulds you into a hero quickly, this game is the one you want to start with. 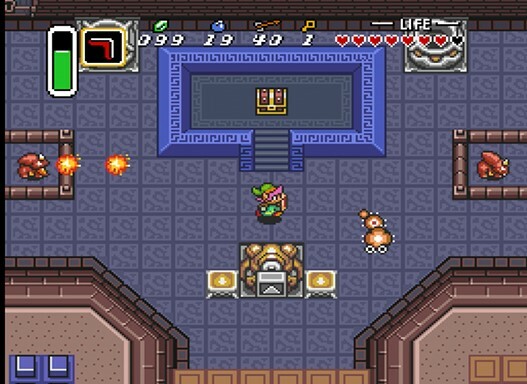 A Link to the Past takes place in-between The Legend of Zelda and Ocarina of Time, as Hyrule faces yet another magical evil. 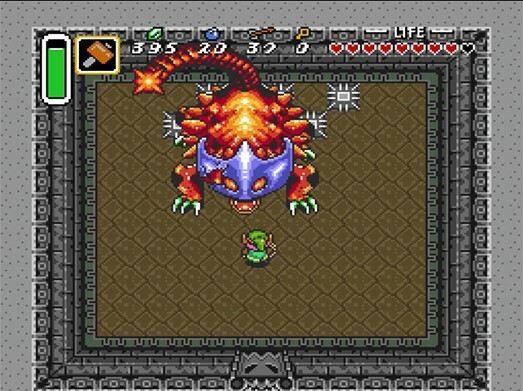 The wizard Agahnim has secretly taken control of the kingdom and its army, and now aims to break the ancient seal imprisoning Ganon in the Dark World. You play as Link, awakened one night by a telepathic message from Princess Zelda, starting a quest to free her from a dungeon, explore the kingdom, and save Hyrule from the dangers which threaten it. 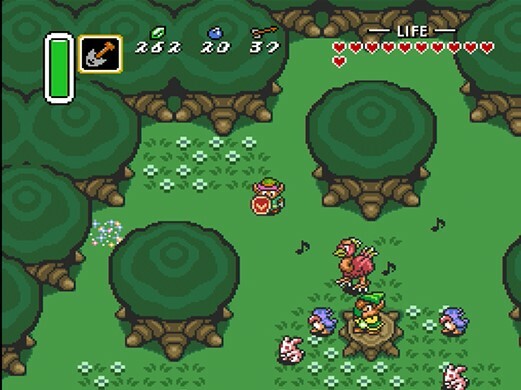 Just like most Zelda games, A Link to the Past places a strong emphasis on exploration. After the brief tutorial, you're free to go just about anywhere on the world map with the bare minimum of hand-holding. Monsters and threats aside, it's a wonderful feeling to walk across Hyrule at your leisure, uncovering new regions and dungeons along the way. 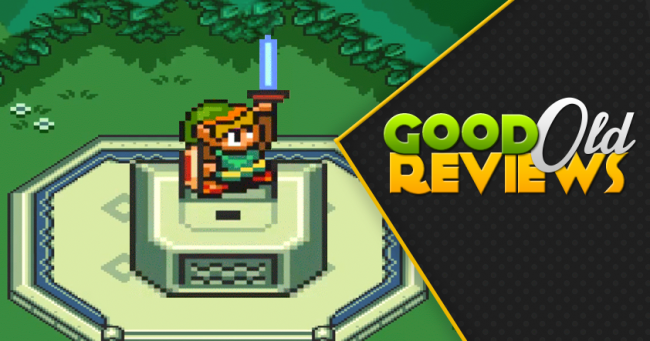 That's not to say A Link to the Past is impressive because it boasts a grand world - in fact, the overworld is fairly small by most gaming standards. Hyrule only consists of a single village, a castle, and a handful of environmental regions. Even in context with the series, this almost feels like a step back from Zelda II: The Adventure of Link's grand maps and scattered towns. No, what's impressive is that A Link to the Past makes full use of its world size. Exploring dungeons and overworld regions is equally important on the micro scale, with hidden caves, items, or health-regenerating fairy pools tucked into every nook and cranny. You can explore Hyrule for hours and not be completely sure you've discovered all of its secrets. Unlike some open world games, just about every region you visit has some charming touch or hidden passageway which makes it feel like a unique place.